Apex Alignment is South Florida's top high performance wheel alignment specialist. With over 15 years of club and professional race experience, Apex has provided numerous victories both on and off the racetrack. Whether it's a vintage racecar, long-distance enduro sportscar, or street autocrosser; Apex builds a relationship and works with the vehicle's owner to optimize performance. Driving style, modifications, vehicle use, and ultimate goal are all taken into consideration to give the best alignment possible. Apex is not a "Toe & Go" shop. We genuinely care about the service we provide and the quality of work is seen on the customer's smile and inside their trophy case. Our same quality of work is provided to street vehicles and light trucks. With our alignment, one could expect reduced tire wear and increased fuel economy; both of which are of significant importance in today's economy. This preventive maintenance will result in the customer spending less money in operating costs during the vehicle's life span. Not sure if your car needs an alignment? No worries; just bring your car in for a FREE alignment check. Albert Lazo is President of Apex Alignment. 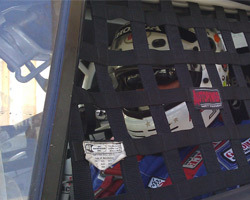 He's competed in motorsports since the mid 1990's. Throughout the years, he's worked for several Sportscar Club of America and National Auto Sport Association club race teams as well as Grand-American professional teams. His knowledge of vehicle dynamics has led him from Florida autocrosses to the 24 Hours of Daytona. He brings his expertise of wheel alignment, corner balancing, and suspension set up directly to your vehicle. Albert is an active High Performance Driving and Race Instructor for many organizations, including: Equipe Rapide Sports Car Club, Gulfcoast Autocrossers, Sportscar Club of America, National Auto Sport Association, Porsche Club of America, Porsche BMW Owner's Club, Chin Motorsports, BMW Car club of America, Equipe Rapide Motorsports Experience, and Formula & Automobile Race Association.